Felipe Massa has revealed that Lance Stroll's comments earlier this season about the Brazilian not acting in a mentor capacity to him was upsetting, and has reiterated his opinion that Williams made the wrong call this year in employing two inexperienced "pay" drivers. Massa and Stroll featured together at Williams as the former entered the final years of his career, and with the older driver/younger driver dynamic in place it was thought there would be a mentorship between the duo. Stroll denied these claims and insisted Massa did not help him to such a level, and Massa has responded by claiming the scathing comments "upset" him. “With all humility, I did a lot for him. When I first met him, he was a 7-year-old, so it was a pleasure for me to be with him, trying to help him," Massa told Conversa com Bial. “When he arrived he struggled to find the speed, to understand an F1 car, to understand how the tyres work, he was only 18-years-old. I was very close to him, we talked a lot and I tried to help with things that I have never seen another driver do. “Not even Schumacher, who was a master mentor, did this for me and what I tried to do for Lance. So yes, I was upset because it was not what I imagined he would say, but now there’s no problem." Williams have received a lot of criticism this season for their decision to partner another rookie driver with Stroll in Sergey Sirotkin, who also brought a significant financial injection to the team. The duo have been dubbed as "pay" drivers who are not in the team due to their abilities, and Massa reckons their poor performances show the decision was wrong to partner two inexperienced performers together. “They took a direction that is not the correct one. 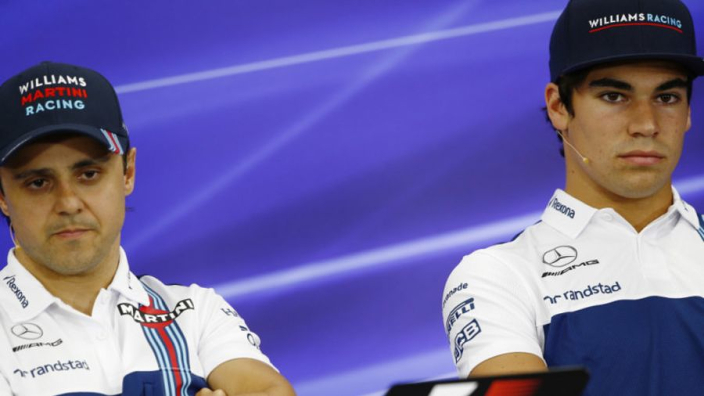 Stroll joined the team because he brought money," Massa continued. “Then after I left and they took another driver that is also bringing money to the team, they were not trying to get the best driver."